You can complain about the pressures of the social media age all you want but the nature of the beast means that unless you’re willing to delete your accounts and throw away your selfie stick, then you’re going to want to look your best – so why not make it easy? Photone by Mykola Basyuk is an app that does just that. Acting as an all-in-one photo editor, Photone uses complex processing to ensure that you get the best results possible to make your online presence pop. Whether your mood is serious or fun and playful, Photone’s got the filter for you. You have the choice between three different monotone filters which gives you the freedom to experiment with different tones to lend your photo’s the perfect ‘feel’ whilst the 15+ colour filters delivers the platform to let your imagination go wild. The complex processing built into the app means that you can achieve split toning’s and layered merging with a simple touch of a button. If you fancy playing around with your photos further then you can use the colourisation mode that allows you to use elaborate and trendy gradients to really make your pictures stand out – a personal favourite of mine is the rainbow mode, because who doesn’t want to pretend they live in a rainbow? 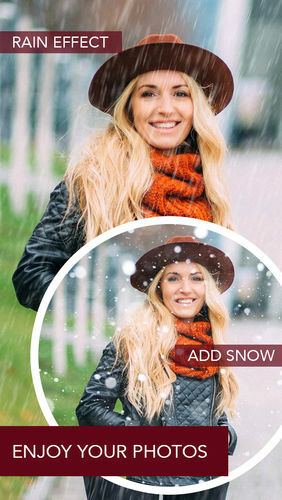 I think we’d all like the ability to re-write history sometimes and Photone gets you that little step closer with its fun effects such as rain, snow or piratical burnt edges that you can overlay on the picture. With it’s easy to use interface, quick processing time and simple share function to both friends and various social media platforms, Photone is the perfect tool for the budding Instagrammer and for $0.99 it’s not exactly a high-stakes gamble. To become the benchmark in social media that all your friends aspire to, download Photone from the App Store today!